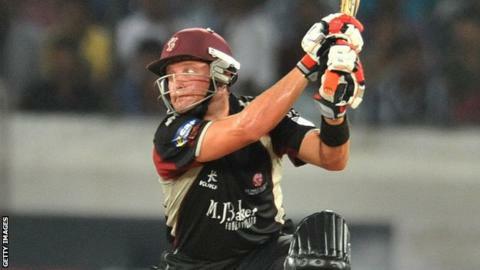 Somerset have signed all-rounder Roelof van der Merwe on a two-year contract to start next season. The 30-year-old played for the county in 2011 and helped them reach the final of the domestic T20 competition and the Champions League semi-finals. "I enjoyed my time in Taunton and I am really looking forward to working with Matt Maynard again," he said. "For me to be coming back to Somerset to contribute in all forms of the game is awesome." Van der Nerwe previously played under Somerset director of cricket Matthew Maynard in the Caribbean Premier League, for St Lucia Zouks. He has represented South Africa at international level, but now plays for the Netherlands and is currently involved in the ICC World T20 qualifier.